Newest Model: 2019's hottest product from Singtronic, the world's first digital karaoke console mixing amplifier with a built-in 2000W + 2000W of hard hitting power. 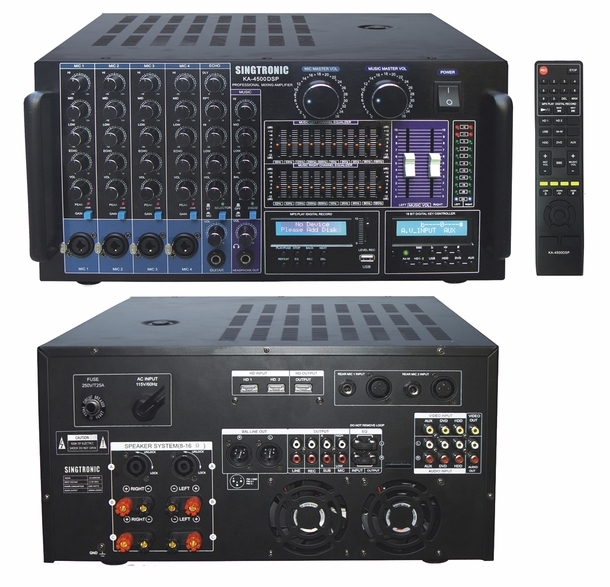 Equipped with a BBE & DSP Ultra High Processor, music & vocals come out with rich details heard in concerts. The newest features added is the double 10 Band Equalizer which allows you to professionally fine tune your speakers. USB Recording Fuction which allows you to recording your own voice while singing your favorite songs and playback. Bluetooth Function which allow you to listen music wireless from any phone. HDMI Function also built in KA-4500DSP with High Definition output on both Video & Audio, which produces the highest and best sound quality. Also built with rich professional console appearance. The Singtronic KA-4500DSP also includes a USB slot reader allowing you to plug your MP3 player. 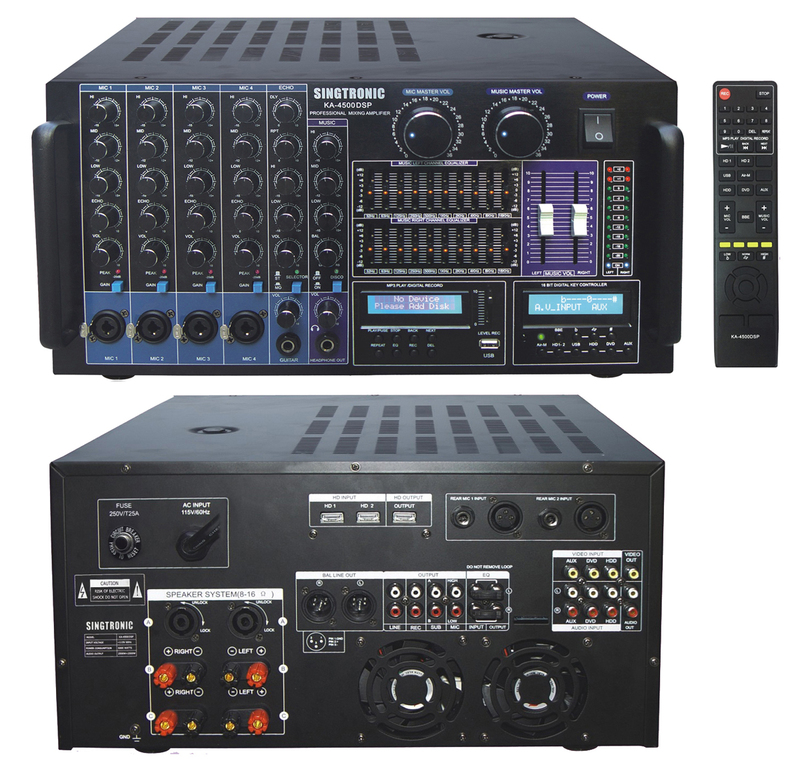 The Singtronic Professional Rack-mountable KA-4500DSP Professional 4000-Watt Console Mixing Amplifier is designed with KJs and serious karaoke singers in mind. It's patented design will forever change how you will be using your karaoke mixing amplifiers in the future.